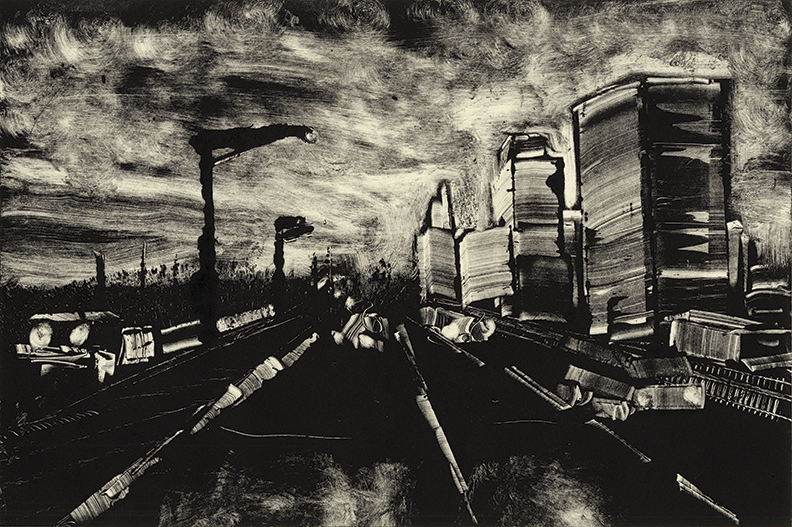 This series of monotype prints were inspired by my commute to work in the Pioneer Valley. I started to notice the way power lines, trees and buildings broke up the skyline. We drive on roads and highways everyday, whether to the office, the grocery store or some unknown desitination. The implication of travel creates a narrative element in these compositions. Where are we going, when will be get there and what will we encounter along the way? The stark contrast and thick applicant of the ink create a ominous mood and a eery feeling as you travel down these uncertain roads.